This Customized Needle Book will serve all your sewing storage needs. In just a few simple steps you will have a place to safely store your sewing needles. The pattern allows for multiple felt pages to be sewn into your needle book, making it possible for you to store as much or little in your Customized Needle Book as you want. The pattern also allows for small pockets on the sides of the needle book. 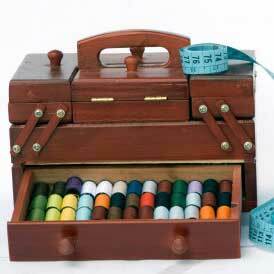 You can also easily store your scissors or other sewing tools as well.